My own reading stack is often themed. This is not planned but for whatever reason, I find myself reading similar books one after another. I have just come out of a rather lengthy contemporary American literature phase and have moved into ‘misery memoirs’. 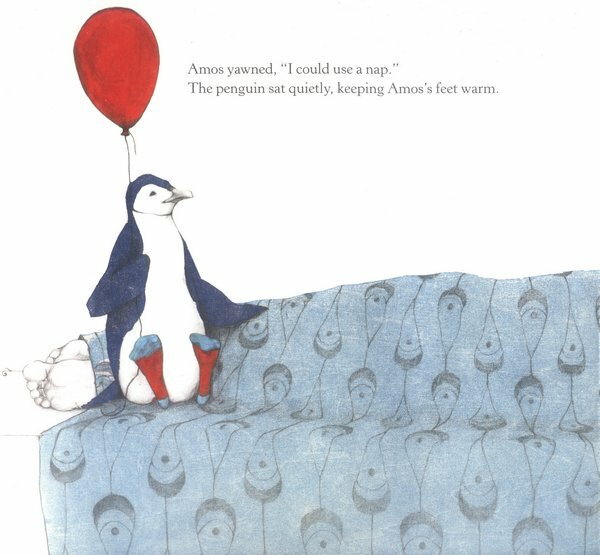 My kids tend to do the same – just when I thought I couldn’t possibly read another story about penguins they moved onto books about kids with ‘energetic’ personalities (think Charlie and Lola and Fancy Nancy). So when we hit upon A Sick Day for Amos McGee by Philip C. Stead, it was sweet relief. The story is about an elderly man, Amos. Amos is an early riser, ambles through his day and talks to his sugar bowl. He also works at the zoo where he has five very special friends – an elephant, a tortoise, a penguin, an owl and a rhinocerous. Each day he spends a little bit of extra time with each of these friends – running races with the tortoise, sitting quietly with the shy penguin and reading bedtime stories to the owl (who was afraid of the dark). 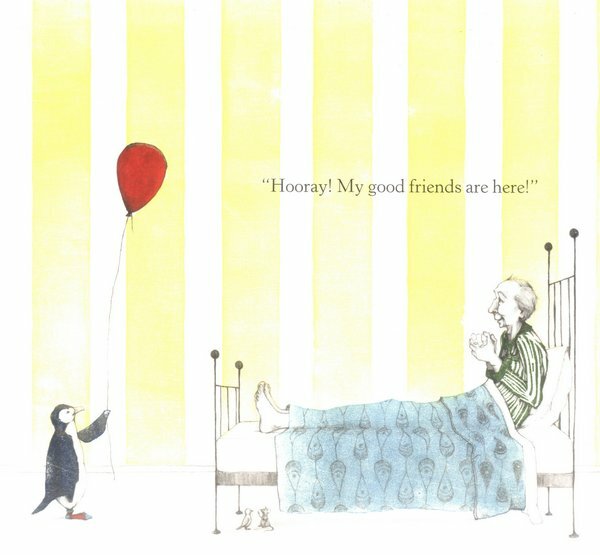 But when Amos is too sick to make it to the zoo, his animal friends decide it’s time they returned the favour and they set off to visit him. This is a very gentle story that deftly shows the give and take in friendships and by using animal characters, it’s in a language that children will enjoy. The illustrations, done in woodblock printing and pencil by Erin E. Stead, match the tone of the story – muted colours, delicate details and a gangly Amos McGee that is simply perfect. 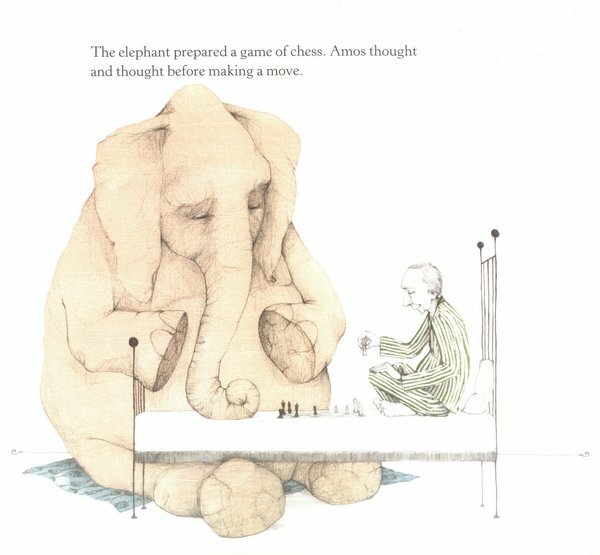 My descriptions of the beautiful illustrations are somewhat futile given that A Sick Day for Amos McGee won the 2011 Caldecott Medal, which is awarded annually for the most distinguished American picture book for children (other winners include Zen Shorts and The Red Book). 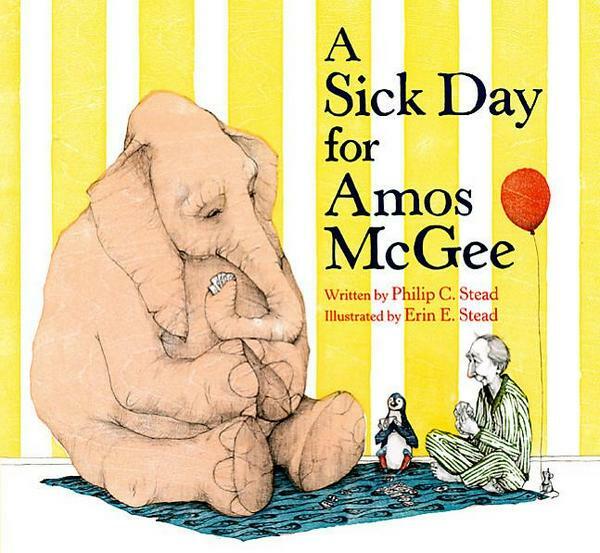 A Sick Day for Amos McGee is available at Fishpond for $15.95.